Taking the lead in passing the ISO9001 quality management system and ISO14001 environment system authentication in the semiconductor lighting industry. All kinds of the LED lighting products have passed the provincial, municipal and national authoritative organization's detection and received the international professional authentication including CE, ROHS, UL, SABS. 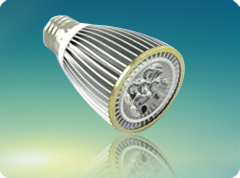 Adopting imported high-power LED, with low light failure and stable performance. Using high brightness and high power LED light source, energy-saving significantly. High efficiency and energy saving,long life:70% - 80% electricity saving,work life can reach 80,000 hours. 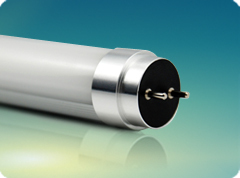 High energy conservation, power consumption is one-fifth of the traditional fluorescent lamp, saving 70% -80%. Green initiative, no harmful elements like mercury or lead, the electronic ballast would produce electromagnetic interference in the ordinary energy-saving lamp. 5W high power LED light's shell adopts superconducting technology design, with high power LED more closely contactted with the cooling body, which can effectively conduction the heat, so as to control the temperature below 63 degrees. Using five 1W LED chips importted from. U.S.the high brightness can reach 400 lumens at most, with optimized anti-static treatment,it is suitable for dry, big electrostatic environment, the LED lamp head also has a arbitrary chice. LED strip uses flexible circuit board, which has excellent performance. It is easy for cutting and connecting. Under high temperature, waterproof and dustproof, these led strips can reach up to IP68, ultra-thin thickness of 3mm, 3M double-sided tape fixed, what is more, its service life can be over 50000H, and it also can be produced according to customer's specific requirements.